Hey Folks! 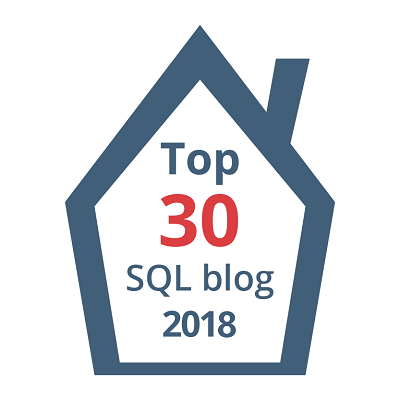 I know…..It’s been a long time since I wrote something technically related to SQL Server(well, am playing with my new DSLR Camera 😀 a lot now a days in leisure times) and so I’m here back with a very interesting and confusing topic for many DBA’s. 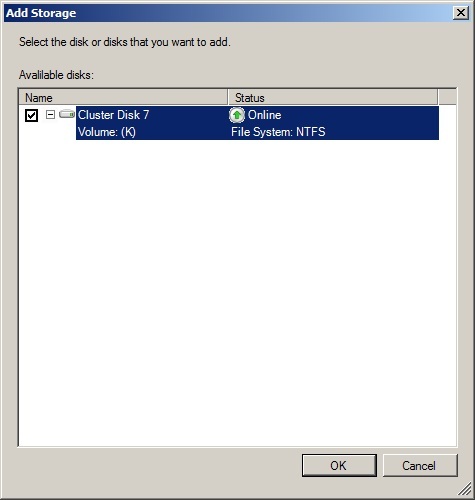 Recently I had a discussion with one of my buddies on issues she had with a newly added drive to Windows Server 2008R2 Failover cluster and I was able(at least I think I was :D) to explain over our phone conversation! Later thought about coming up with a write up which might help even others in a similar situation. 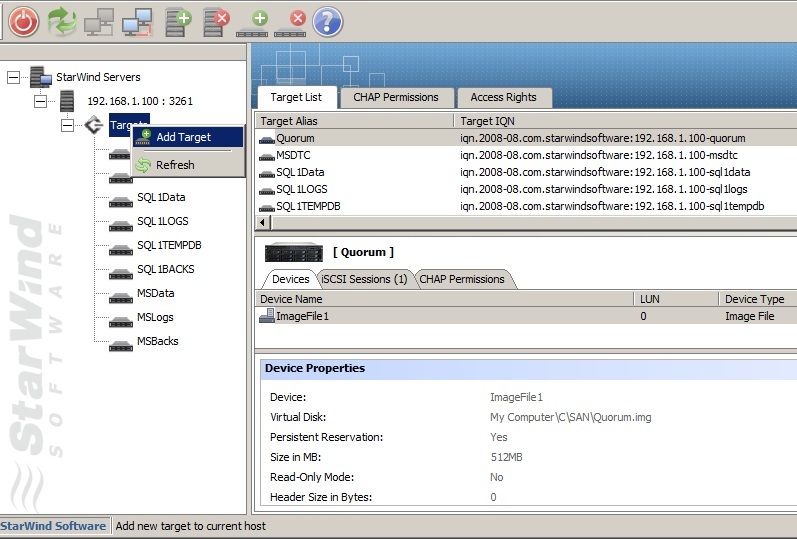 So, In this blog post let’s see how to add a new drive to your existing SQL Server Failover Cluster(Just an FYI : Win Server 2008/SQL 2008 in my case). Before going any further, I’ll be wearing 3 hats in this Blogpost(a SAN Admin hat, Windows Admin hat and obviously a SQL DBA hat). Let’s start with wearing a SQL DBA hat! 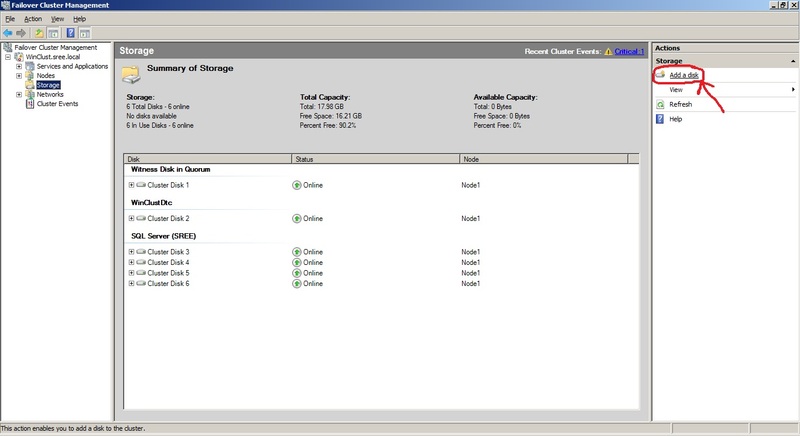 Below are the screenshots of my current SQL Server Failover Cluster which I’m going to add a new Drive. 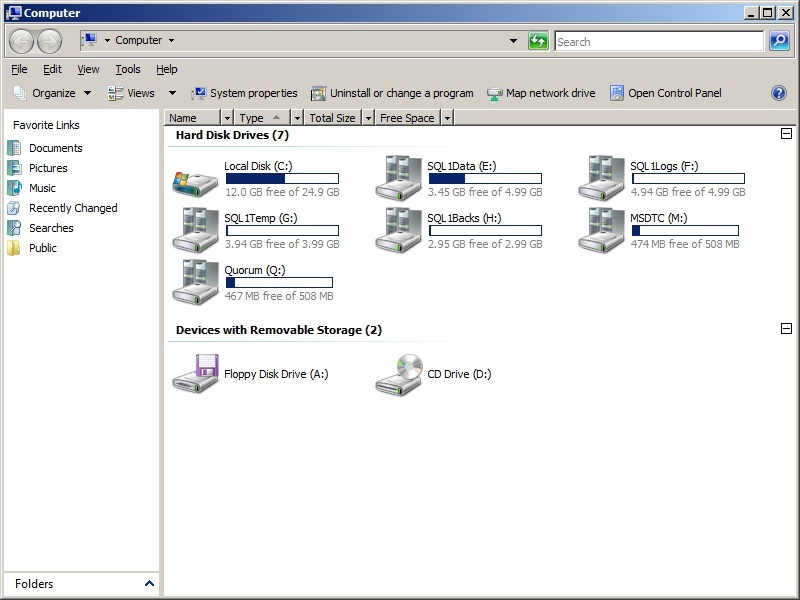 As you can see I’ve 6 SAN Drives dedicated to this cluster. 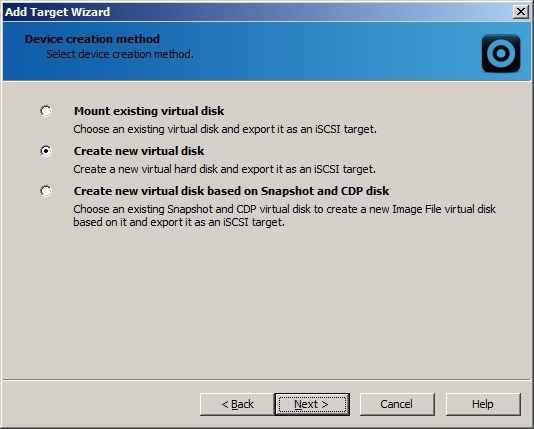 Let’s see how to add a new drive with a name aaaaahhhh……say “SQLBacks2” to our SQL Server. 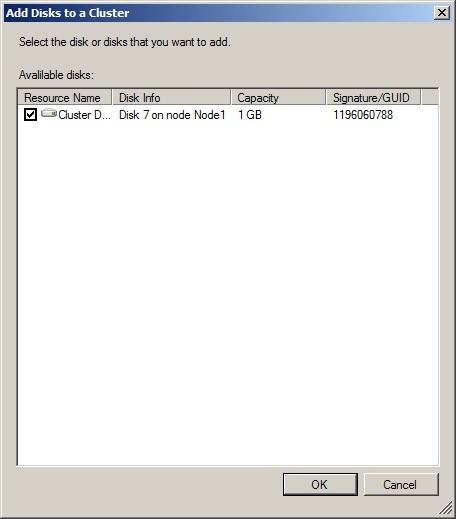 First thing is your SAN Admin should create/present a new Drive for you to be able to add to our cluster. Okay, let me wear my SAN hat. 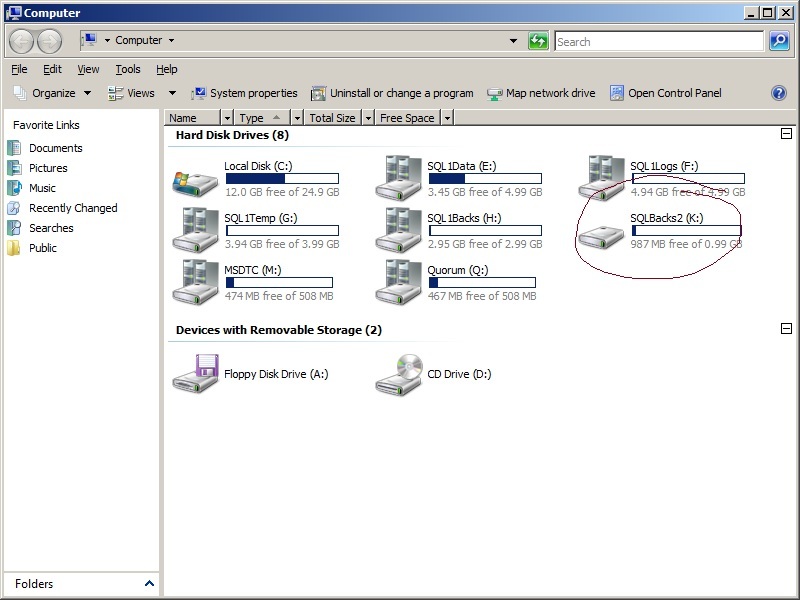 Now am a SAN Admin and I’m going to create a new SAN Drive for my Windows/SQL team. 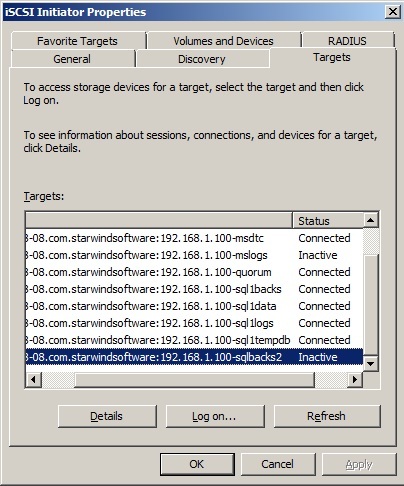 Note: If you didn’t followed my earlier Clustering Series, I use Starwind for all my SAN Stuff. Just refer to my previous posts in clustering series to understand this tool more in depth. step1: Add a new Target. 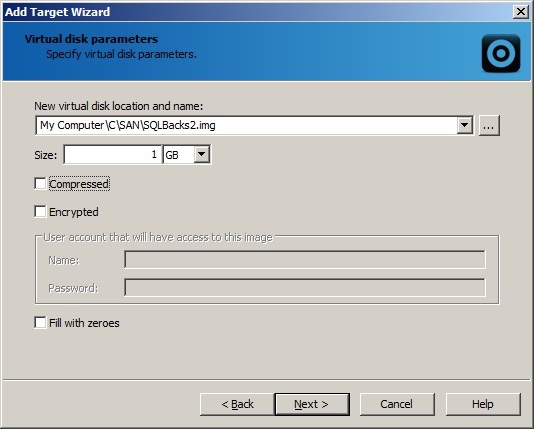 Okay..now Am done with SAN guy role and now I’m wearing a Windows Admin Hat to initialize the new disk which my SAN Admin just created for me from my Nodes. 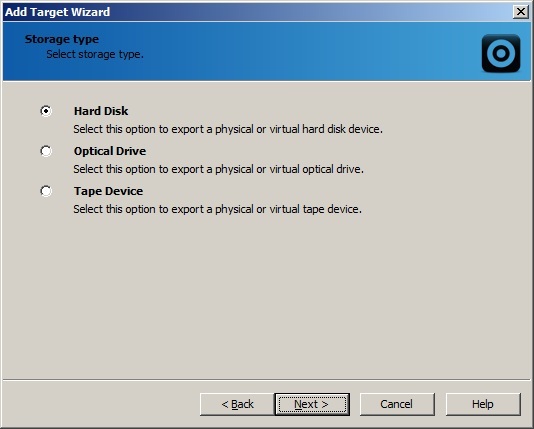 Went to ISCSI Initiator and all I have to do is Initiate this new drive as shown below. 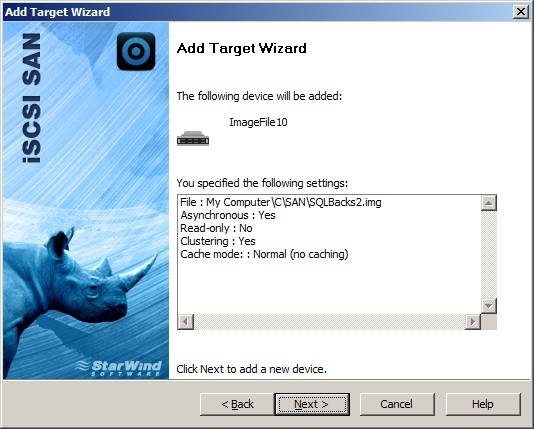 you can see our new drive as Inactive as of now in the below screenshot. 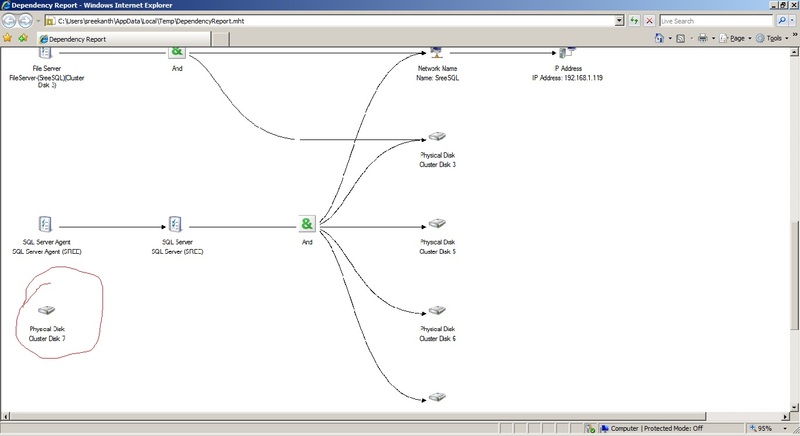 Once, this drive is logged on both the Nodes basically now we’ve to add this drive to our Windows Cluster using Fail Over Cluster manager(am on Node1) as shown below. 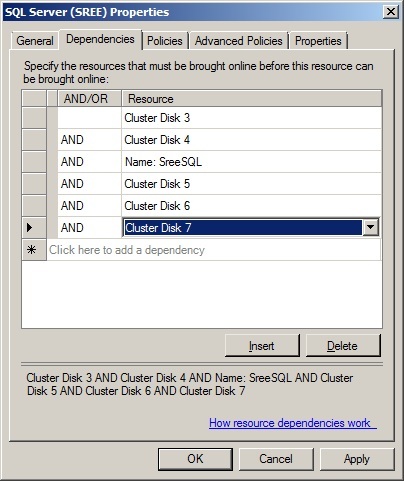 It will search for all the disks which are suitable for clustering for a while…After few seconds, You’ll see below. 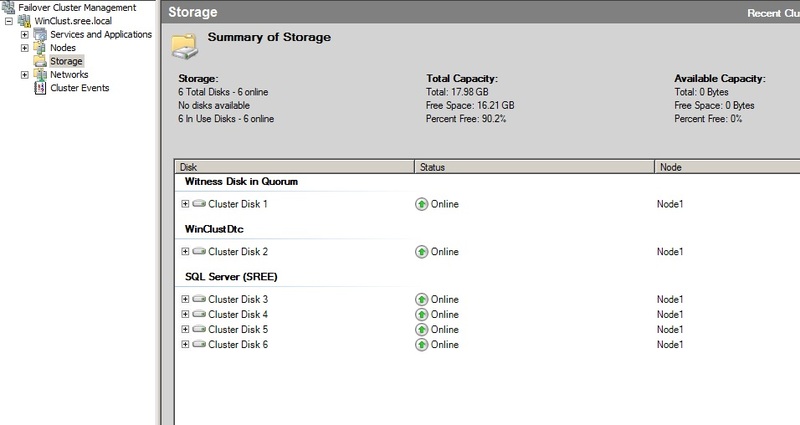 Once added, you can see this Drive has been added to our Cluster as Available Storage(Note: At this Point SQL Server Service is not yet ready using this Drive). 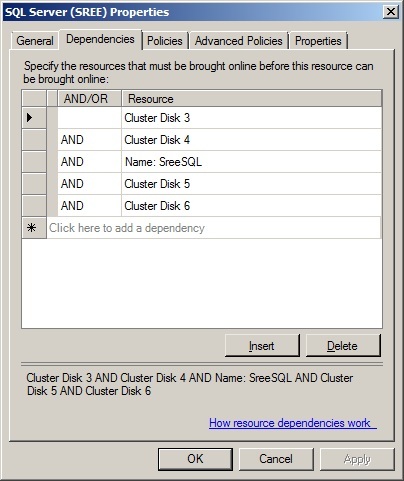 Now…Right Click on your SQL Server and select “Add Storage” as shown below. So…Are we done yet? 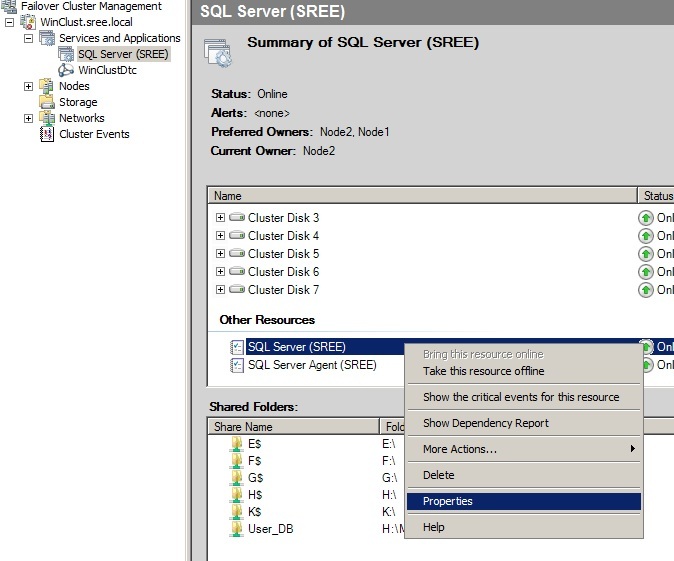 Nopee…….Here comes the most Important Part and the piece which I’ve seen people missing a lot while adding a new Drive to existing SQL Server Clusters. So what are we missing here? 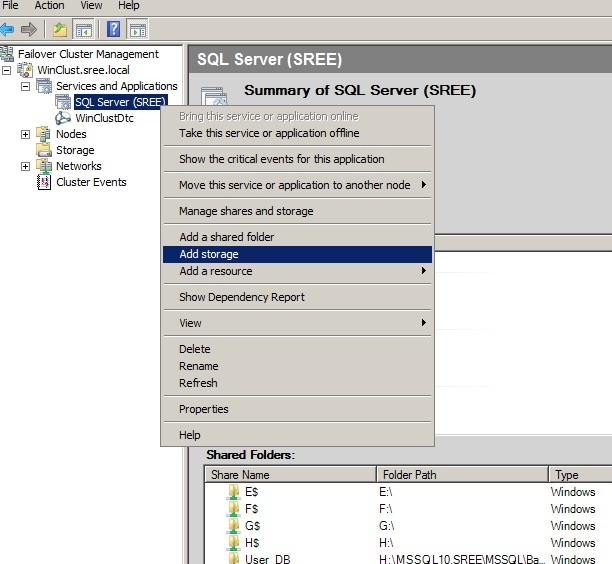 The Answer is SQL Server Dependency. Didn’t quite understood what I’m saying? Well, see the below Screenshot where Drive 7(new drive which we just added) is floating in air with no relation to SQL Server Service. 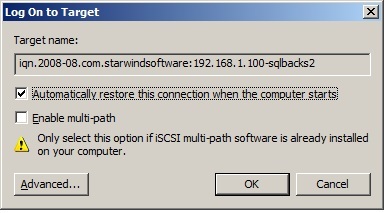 How to verify that the Drive has not yet added successfully 100% to our SQL Server Instance from SSMS? 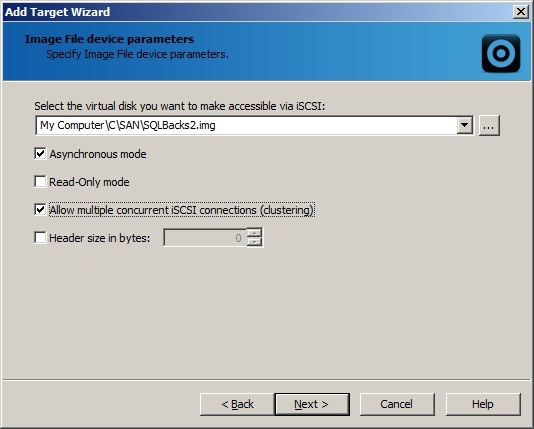 It’s very simple, Just try to access this Drive from your SSMS. 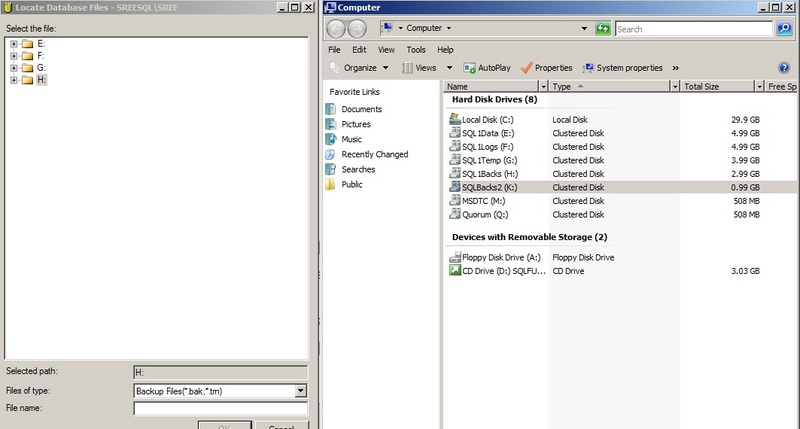 In this example I’m just trying to take a backup of one of my Databases and looking for $K to place the backup, which I can’t see(But I can see it from My Computer) unless I add the dependency Manually as you can see below. So…What to do now?? Just make an “AND” Dependency for your New Drive. But how?? Wearing SQL Admin hat now! Well, this could be even a Windows Admin depending on your company! 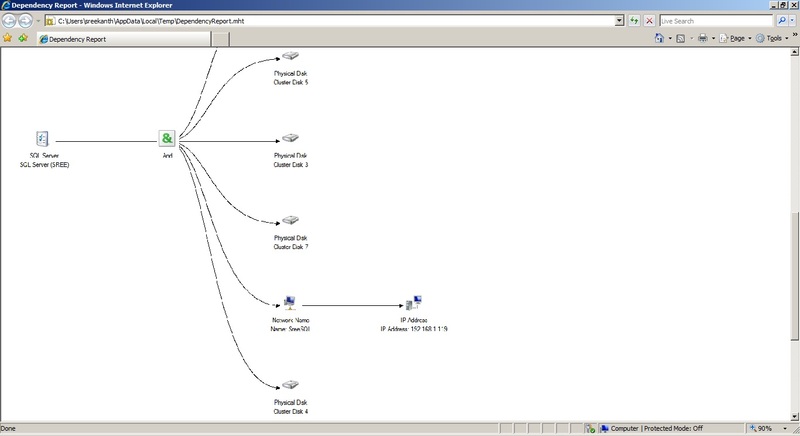 Navigate to your SQL Server and Right Click and select properties and go to dependencies tab as shown below. 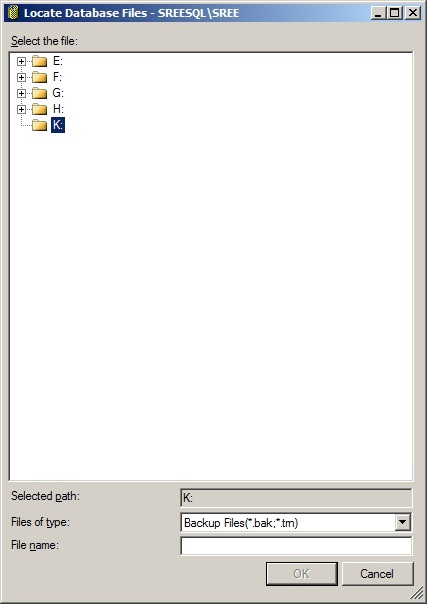 and of course a happy SSMS as you would expect to locate the Drive for your Instance!